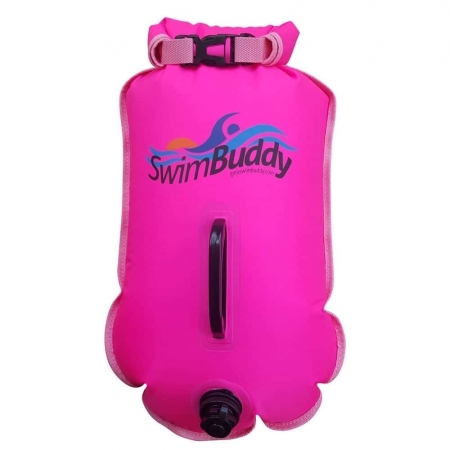 Now available in highly requested pink colour! 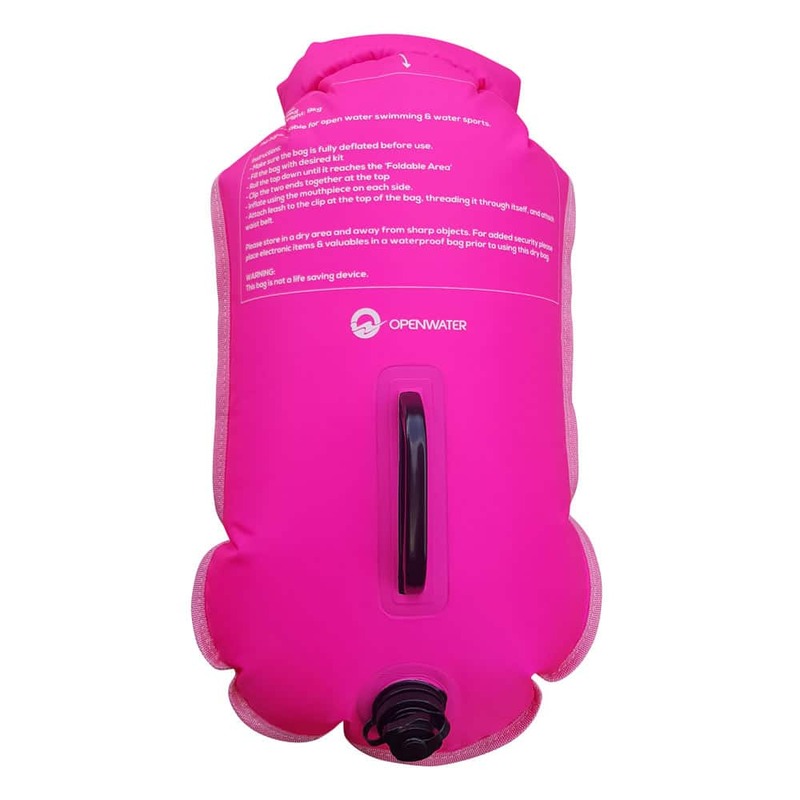 New fluorescent high visibility pink colour significantly reduces chances of being run over by watercraft, while providing easy monitoring by supporters and floatation if necessary when fatigued or anxious. Next generation durable dual valve system with dual inflatable chambers adds margin of safety in the unlikely event one chamber deflates. 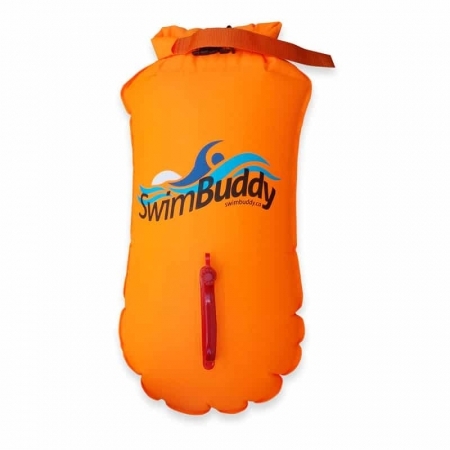 Store small items inside, full dry bag capabilities to store electronics, keys, sunglasses, clothing, towel, flip flops, etc. Easy set up and inflation/deflation. 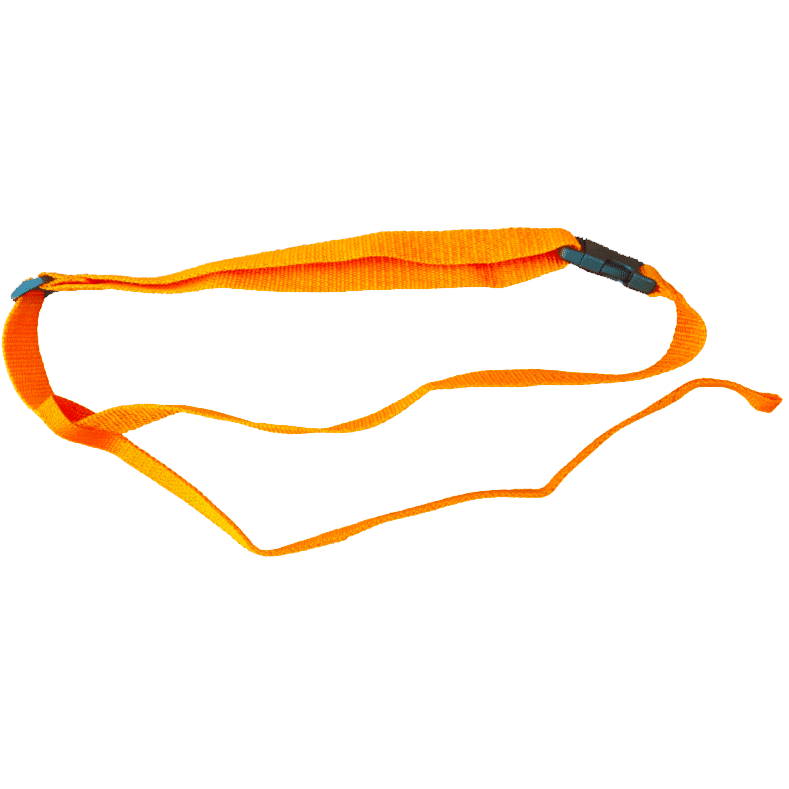 Adjustable waist belt. 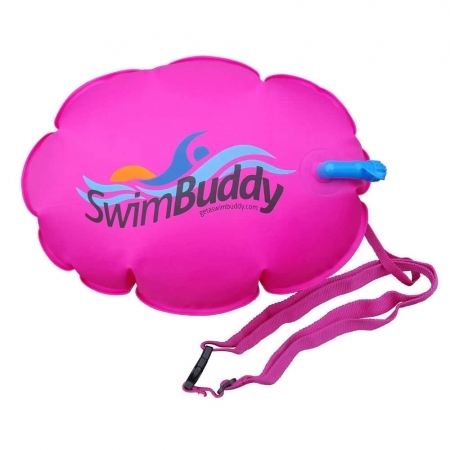 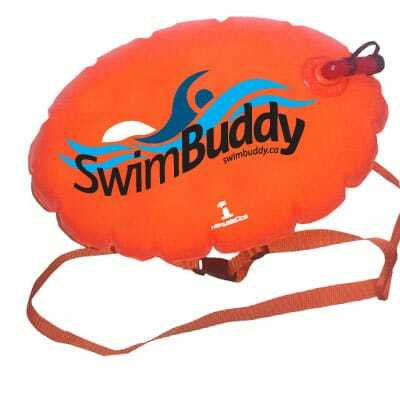 Does not interfere with swim stroke, and provides virtually no drag while swimming.